Posted by Dann Berg on October 30, 2011 . 2 comments. Thank you to everyone who help support my cat Maimonides after his surgery. To everyone who donated, commissioned artwork, commissioned web work, or just offered your support: thank you. 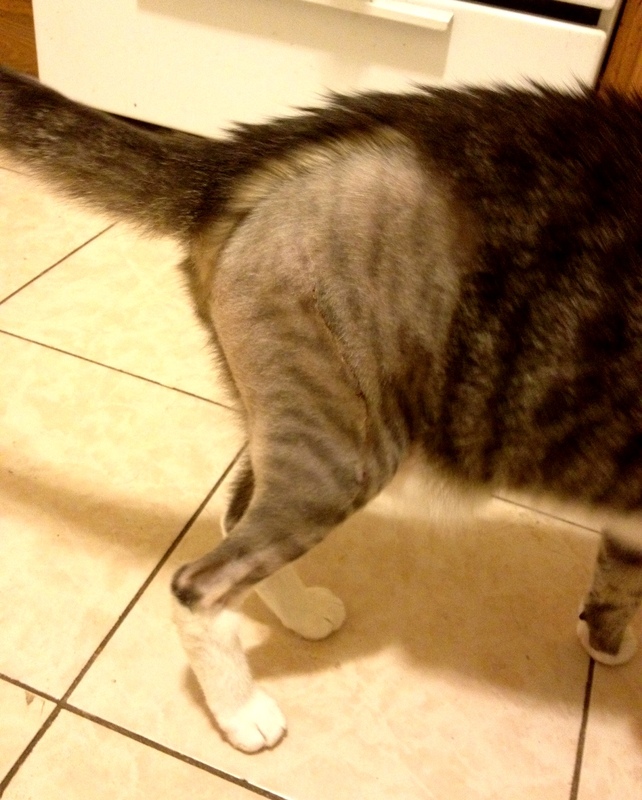 It was overwhelming the amount of support that came pouring in after Maimonides needed surgery. With everyone’s help, we were able to raise a significant portion of the vet bill, and I’m sure that with the referrals and resources provided by all of you, this debt will be paid off in a reasonable amount of time. More important than my recovering bank account if my recovering cat. Maimonides is healing up at an extremely fast pace. Not only does he now have his stitches out, but his scar is already starting to look healed! He still walks with a bit of a limp, but that is growing less day by day. Maimy has a follow up appointment in three weeks, where additional X-rays will be taken to determine whether steel rods have shifted. Then I have to keep an eye on him for about four months after that, for additional signs of rod movement, and then he’s pretty much in the clear. He’s set to make a full recovery. Again, thank you for all of your support, from both myself and Maimonides.